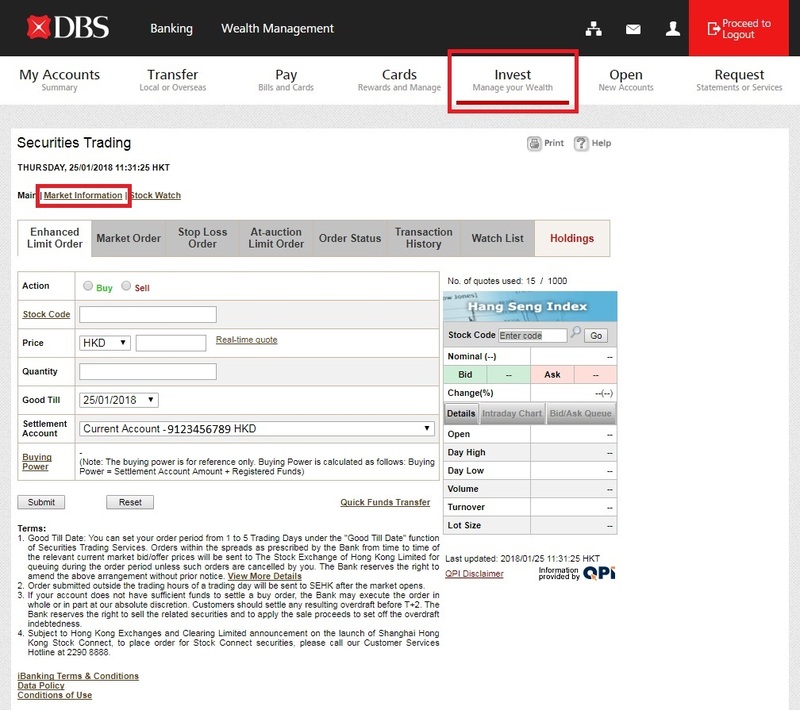 1) First of all, you have to open a securities account and register for DBS iBanking service. 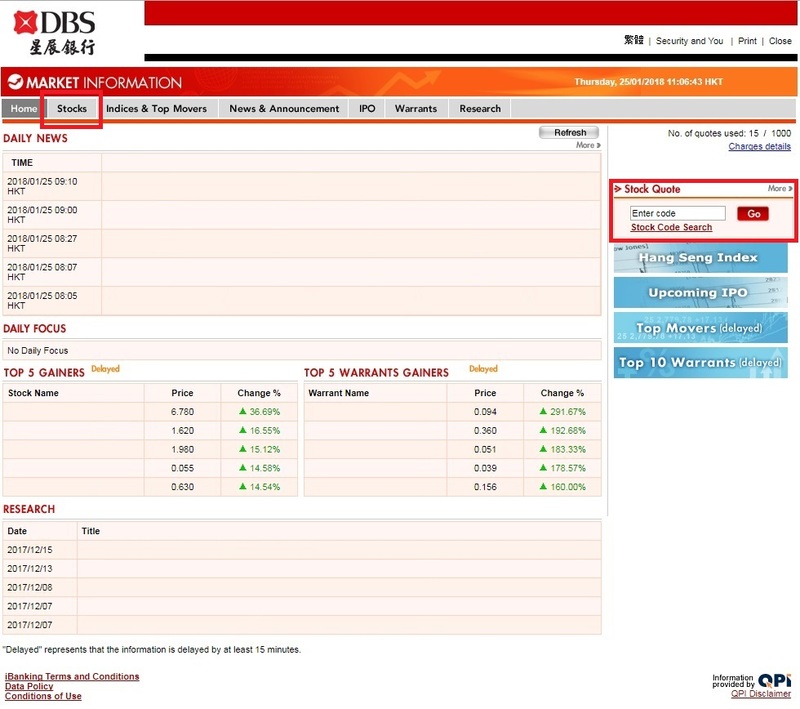 2) To access free Stock Quote, login DBS iBanking and choose Market Information under Invest. 3) To enquire stock prices, choose Stocks or input stock code under Stock Quote and submit. 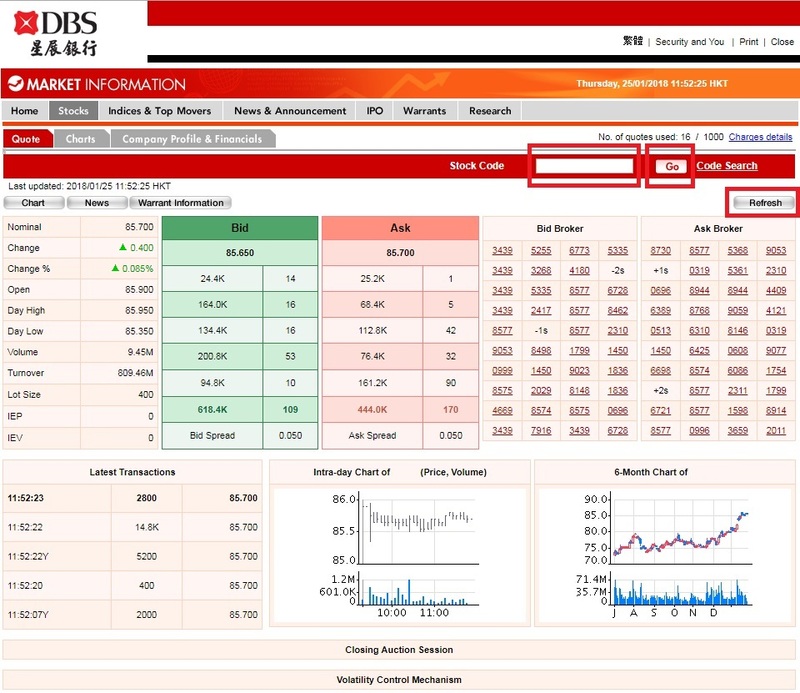 4) After submitted, latest information will be displayed as below, such as stock prices, broker queue and charts. However, information is not updated itself in real time with streaming. To get latest information, you have to re-submit the stock code by pressing ENTER at your keyboard or use mouse to click Go or Refresh. 5) To enquire the broker name, please click on the broker code under Bid Broker or Ask Broker. 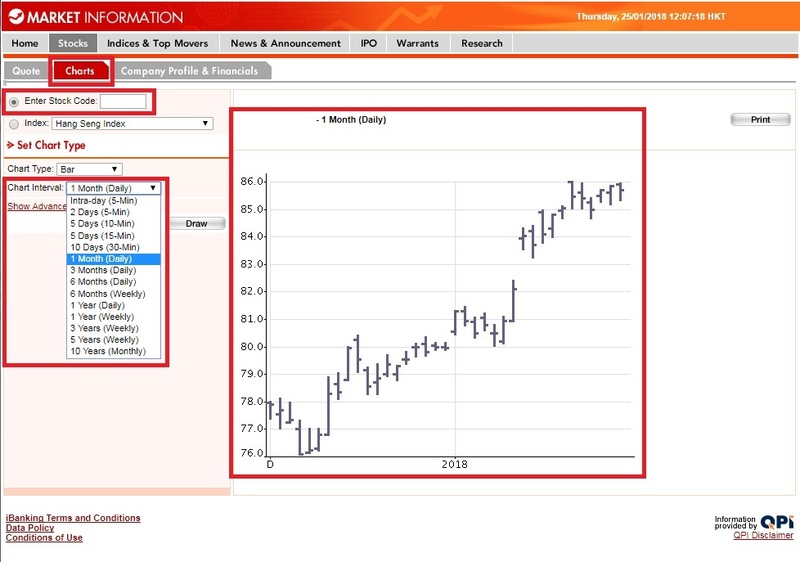 6) To get further information, such as Stock Charts & Index Charts, please click Charts.